IBM has come under a lot of heat from Wall Street. The stock is viewed as a dinosaur by some investors. I think they’re misinformed. IBM is one of the leaders in blockchain technology, and it is in the process of acquiring Red Hat (NYSE: RHT). The deal could make IBM the market’s leading cloud computing company. When we look at dividend safety, cash flow is the most important metric. Whether Red Hat will move the needle for IBM remains to be seen, but Wall Street clearly expects it to. Analysts forecast free cash flow to climb for the first time since 2015. 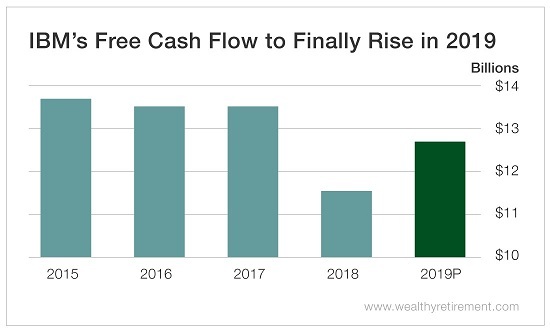 What’s interesting about the analysts’ 2019 free cash flow projection is that we’re talking about a group that is not particularly bullish on the company. Only seven out of 25 analysts on Wall Street rate the stock a “Buy” – so if the Red Hat deal makes a positive impact, or if IBM is able to grow its free cash flow another way, chances are the company will beat the bearish analysts’ estimates handily. And while everyone has been writing off IBM as dead, it has raised its dividend for 23 years in a row and has had a double-digit annual growth rate for the past three, five and 10 years. 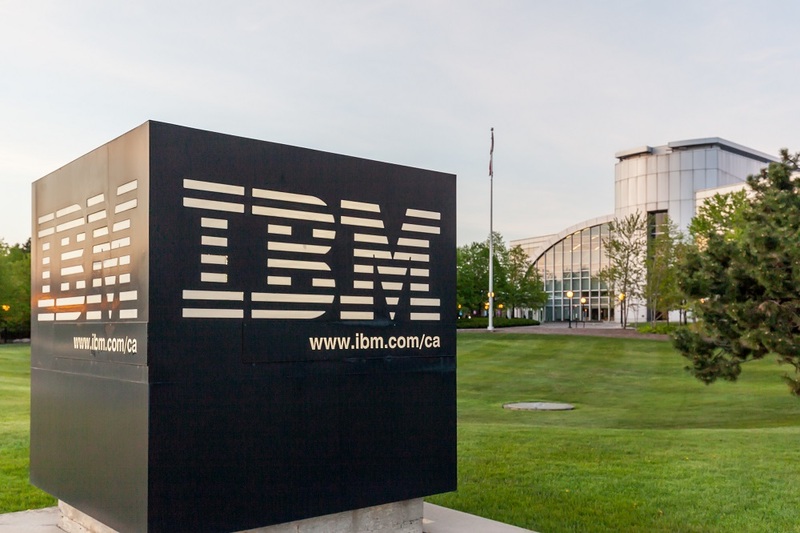 IBM’s ample free cash flow and long track record of dividend raises suggests the dividend is pretty safe. If the Red Hat deal can get free cash flow moving in the right direction, the dividend will be rock-solid.